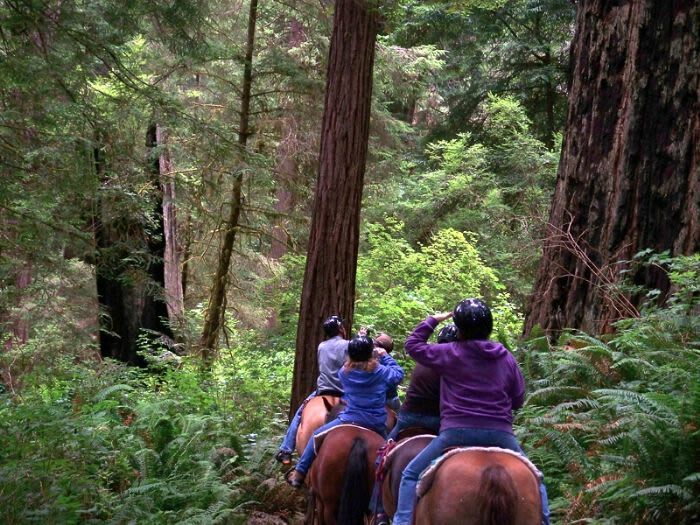 Guided horseback rides into Redwood National Park. All tours include guided, interpretive tour of local history, flora & fauna. 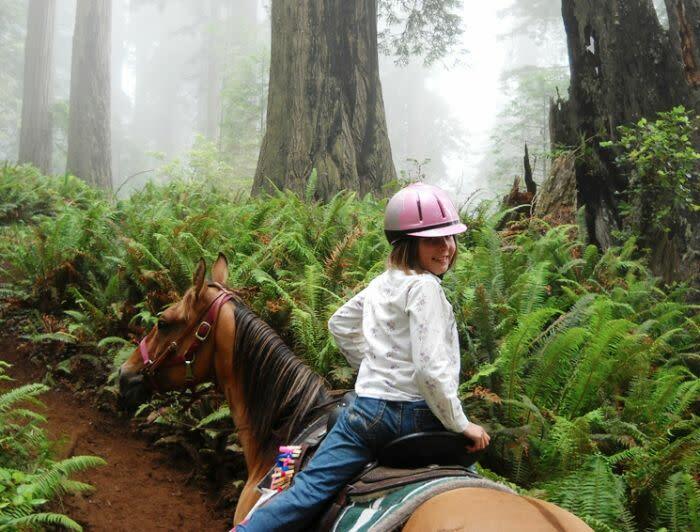 One and half hour Goose Pen Ride: Travel up the mountain thru various stages of the redwood forest, get your picture taken on your horse inside one of these giant wonders. 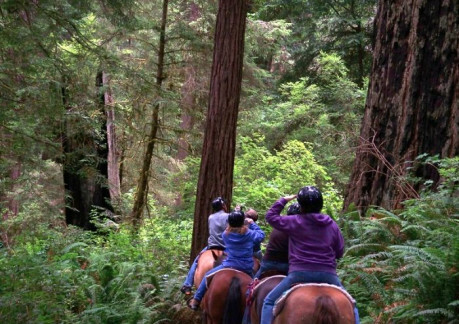 Four hour Picnic Ride: Saddle up with the Buckarettes to trek through the ancient old growth forests of Redwood National Park. At the 1/2 way point, we'll stop and have lunch under the trees before heading back down the trail. Lunch is included. 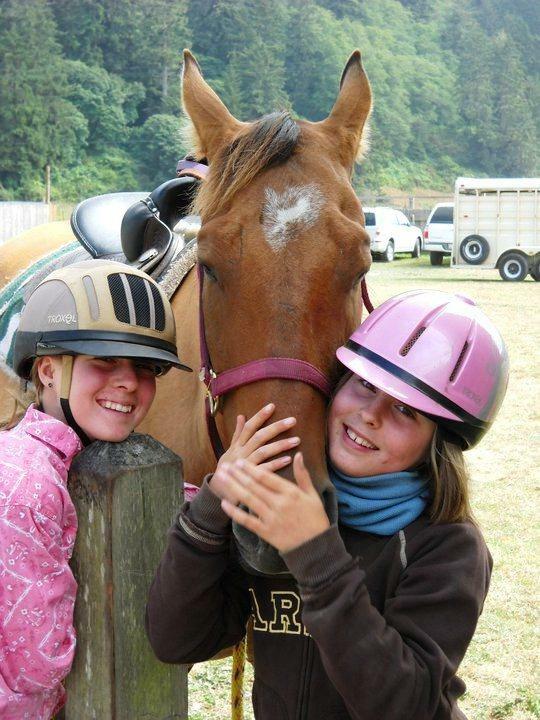 Rides leave from Orick Rodeo Grounds daily May thru November. Rides in off season are weather dependent. From the South: An hour north of Eureka, follow Hwy 101 to Orick, turn right @ the Orick School onto Drydens Road. Follow the two-lane country road approx 1.5 mile to the Orick Rodeo Grounds. Turn left into the grounds. From the North: An hour drive south from Crescent City, follow Hwy 101 to Orick. 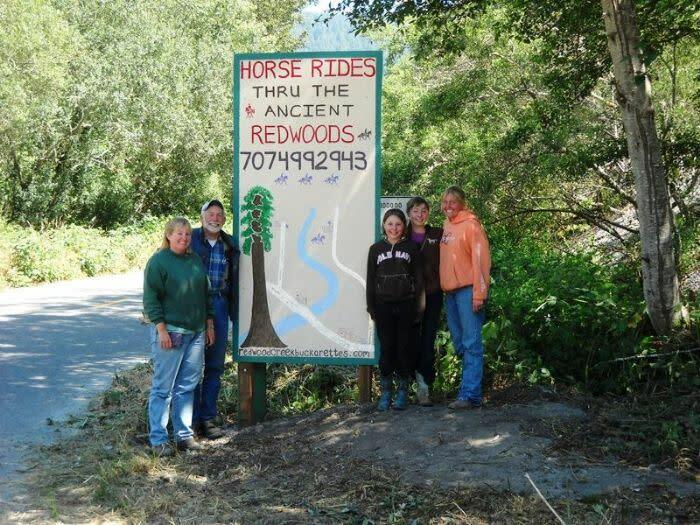 After crossing Redwood Creek Bridge, turn left @ the Orick School onto Drydens Road. Follow the two-lane country road approx 1.5 mile to the Orick Rodeo Grounds. Turn left into the grounds.